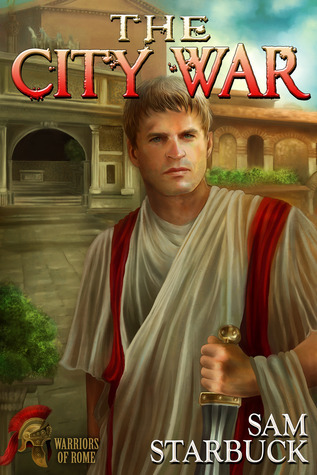 Senator Marcus Brutus has spent his life serving Rome, but it’s difficult to be a patriot when the Republic, barely recovered from a civil war, is under threat by its own leader. Brutus’s one retreat is his country home, where he steals a few precious days now and then with Cassius, his brother-in-law and fellow soldier—and the one he loves above all others. But the sickness at the heart of Rome is spreading, and even Brutus’s nights with Cassius can’t erase the knowledge that Gaius Julius Caesar is slowly becoming a tyrant. Cassius fears both Caesar’s intentions and Brutus’s interest in Tiresias, the villa’s newest servant. Tiresias claims to be the orphaned son of a minor noble, but his secrets run deeper, and only Brutus knows them all. Cassius, intent on protecting the Republic and his claim to Brutus, proposes a dangerous conspiracy to assassinate Caesar. After all, if Brutus—loved and respected by all—supports it, it’s not murder, just politics. Now Brutus must return to Rome and choose: not only between Cassius and Tiresias, but between preserving the fragile status quo of Rome and killing a man who would be emperor. It has been said, correctly I think, that ‘history is the tricks the living play on the dead,’ and The City War (Warriors of Rome #3) by Sam Starbuck is no exception. For example, Julius Caesar has been various portrayed as a capable leader and a tyrant, and his assassins as patriots and ambitious thugs at the same time. So who knows? Sam Starbuck has chosen to portray Caesar as a tyrant, thus making Marcus Brutus a ‘good guy’ of sorts. Philosophically, he believes Rome would be better off as a republic, free of the fickleness and excesses of dictatorships, and so he is willing to listen when his lover, Cassius, proposes a plot to assassinate Caesar. Cassius is a complex character. He is less high-minded and idealistic than Brutus, but equally committed to the idea of a republic through his lover. Without Brutus’ universal respect the assassination would be seen as just that. And then we find Terisias. I’m not certain what function Terisias serves, whether it is the spirit of change, the POV of the servant class, or just a change of pace from the two main characters. Whatever it is, he makes an interesting if unexpected personality. Holding all of this together is some first class writing, which makes the story very readable from start to finish. Although personally I am growing somewhat weary of stories set in Imperial Rome, I can recommend this interpretation as having an interesting plot and good solid journalism. Four bees.